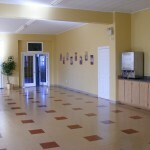 The kitchen and dining hall are located in the Parish Centre close to the Marian Hall. 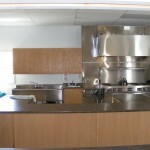 This was done so the meeting area and the dining room would be kept separate. 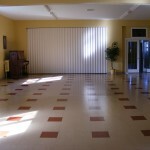 For rental info, contact the office at 742-7151.